Tag Archive | "hp spectre xt touchsmart"
HP’s TouchSmart Laptops cover Low and Very High-End, Possibly AMD Too. 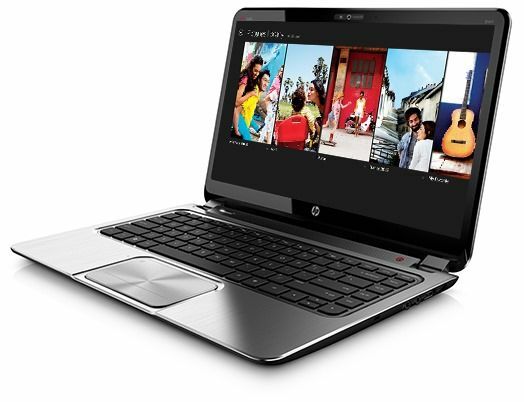 The HP Envy Touchsmart 4 is already available to order with Core i3 or i5 and RAM up to 8GB, Hybrid HDD up to 500GB. The SpectreXT, (first announced at end of August) should be available to order soon and could be something of a challenger for that entry-level MacBook Pro Retina. A 15.6” fullHD screen, thunderbolt, Beats audio SSD and RAM options and a weight of 4.7 pounds are attractive features. We’re looking out for the fine specs – especially that battery which we hope HP haven’t cut corners on. 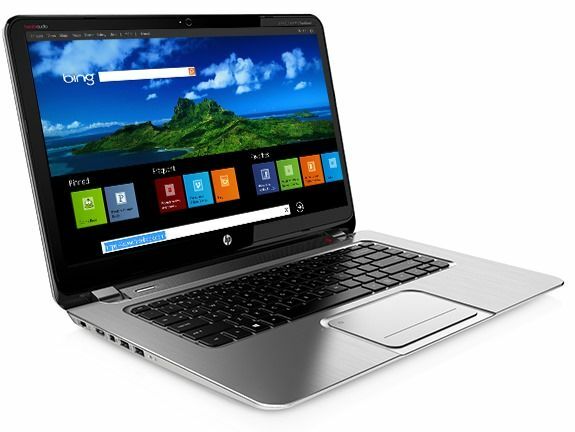 Today HP is announcing a new variant of their premium Ultrabook, the Spectre XT TouchSmart. 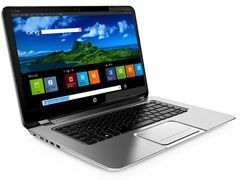 With the addition of a Thunderbolt port, a larger 15.6″ full HD IPS touchscreen, and Windows 8, HP is bumping the price up from the $999 Spectre XT to $1,399 for the Spectre XT TouchSmart. The Ultrabooks are nearly identical aside from the additions and change to the price. It would appear as though HP will be selling them concurrently.